Introductory thoughts and principles inherent in the second reformation in the rise of England, Scotland and Ireland for the good of the Gospel. WHAT are the principles to which so much importance is attached? is a question meeting us as we introduce the proposed course of Lectures. In giving a reply to this most reasonable demand, reference must, of course, be made to the history of the memorable period with which the principles in question are associated—the principles of the Second Reformation. But in answering this ques tion, I am not to be expected to give lengthened histori cal illustrations, nor am I to adduce a body of statutory proofs, nor am I to take up the scriptural argument in support and defense of the principles in question. Be sides the impossibility of comprehending all this in a single lecture, I should, were I to attempt it, necessarily antici pate the tasks assigned to the brethren that are to succeed me. My duty at present, if I do not mistake it, is to make some brief preliminary observations, preparing the way for the discussions announced in the syllabus, by placing before the mind the principles that are to be advocated, and endeavoring to awaken interest and attention by im pressing the mind with a sense of their importance. To this task, then, I immediately address myself. To state the great principles of the Second Reforma tion, it will be necessary to recur to prominent facts in the history of the period. “In a period of conflicting opinions and sentiments, producing mental and moral re volutions, it seldom happens that individuals or commun ities arrive all at once at the great principles which are afterwards recognized and felt.” We are not to expect to find a system of principles, laid down and adopted by the leaders of the Reformation, and then acted upon; but, turning our attention to facts, and observing the great movements as they have proceeded, we shall be able to elicit the great principles which impelled the actors, whose doings have so large demands on our gratitude, and sup ply so valuable lessons for our adoption and imitation. I. Applying this principle to the task assigned me, I shall simply state a few facts which shall furnish data from which to elicit the principles of the Second Reform ation. A first place is due here to the renovation of the Na tional Covenant of Scotland in the year 1638, in its ap plication to Prelacy. From the year 1592, the First re formation declined. The monarch of that day assumed his haughty and usurped prerogative of supremacy in all things; the liberty of the church was invaded; her assemblies were interdicted; and preparation was being made for imposing prelacy upon the church by dint of royal au thority. After unsuccessful remonstrances, and repeated invasions of their privileges, the religious people of Scot land, apprehensive of their danger, proceeded with great unanimity and zeal to renew the National Covenant, in con demnation of Prelacy. This valuable document had been drawn up nearly sixty years before this time, to unite the country against Popery; but the reformers of this period perceived such an affinity, if not identity, between Pre lacy and Popery, that they regarded the abjuration of the one as virtually abjuring the other, adding to the ancient deed paragraphs declaratory of their views. This sea sonable and magnanimous step served a valuable purpose in uniting the people; and as it took a lead, so it prepared the way for still greater decision and boldness. Another prominent fact, to aid us in our present in quiry, is the calling and meeting of the General Assembly in Glasgow, at the close of the same memorable year; an assembly distinguished above all others by the fidelity and magnanimity of its proceedings. In opposition to the royal pleasure, in despite of the dissolution of the assem bly by the royal commissioner, and his proclamation in terdicting it under certification, the assembly, claiming an intrinsical power from the Lord Jesus Christ, contin­ued its sessions, and proceeded with its business, annulling preceding unlawful Assemblies, deposing Bishops, con demning the articles of Perth, Service Book, Book of Canons, Book of Ordination, and other instruments by which it was attempted to impose prelacy upon the church; and these measures were gone into in a style to which monarchs and prelates were not accustomed, and which is perhaps yet scarcely forgiven and forgotten. The restoration of Presbyterian government, the erection of Presby teries, the vindication of the order and rights of the ruling elder, the Presbyterial inspection of ministers, the prohi bition of intrusion upon congregations, the planting of schools, the visiting of the universities, the protection of the Sabbath, and other things found in the acts of this assembly, .show it to have been composed of men of pious principle, of comprehensive views, of magnanimous pur pose, of untiring activity, and of uncompromising fidelity, proceeding in a line of scriptural reform, under a special and mighty impulse from above; and they furnish ample material from which to form distinct views of the high and lofty aim and principles of the Second Reformation. And next to it we must place the Westminster Standards, as received by the Church of Scotland, with distinct declaration of her views on the intrinsic authority of the church, and on her form of ecclesiastical polity. These documents are distinguished by the purity of their style, the soundness of their evangelical doctrine, and the comprehensiveness of their views. They were prepared with much prayer and labour, and remain monuments of the piety and talent, erudition and industry, fidelity and zeal of the reformers of that day, as they are the legiti mate evidence of their principles. In addition to these sources of evidence, it were natural to adduce the Acts of Assemblies and of Parliament during this period, as proofs and illustrations of the prin ciples upon which the reformation proceeded; but, upon these our limits forbid us to enter. II. Furnished with such data, let us now proceed to our task, in reply to the question, What are the principles of the Second Reformation? From this reformation being specially directed against Prelacy, it related chiefly to matters connected with the institutions and polity of the church, and to political affairs, in connection with religion, and the interests of the church. We are not to think, from this circumstance, that it overlooked the precious doctrines of the gospel, and the interests of personal godliness. In the documents alluded to, we have evidence of a sound theology, ably supported from the Holy Scriptures, and pointedly directed against Papal and Arminian errors; and, the lives of the men engaged in this reform ation, give evidence that the doctrines of the cross were the living spirit that animated them in their noble resistance to tyranny and superstition, and in all their endeavors to secure to the church her liberty, and to bring her to conformity to the will of her Lord. What, then, are the principles which the men of the Second Reformation have transmitted as a precious inheritance to their children? 1. The Universal Supremacy of the Lord Jesus Christ must take the lead here. He is given to be the head over all things to the church. The church is Christ’s. He has loved her, redeemed her, chartered her, and given her a constitution, immunities, and laws, and officers. ” There is no other head of the church but the Lord Jesus Christ, nor can the Pope of Home, in any sense, be the head thereof; but is himself antichrist, that man of sin and son of perdition, that exalteth himself in the church against Christ, and all that is called God.” The reformers saw this truth in the light of scripture, and contended for it against claims asserted and exercised in opposition to it. In the preface to the Propositions concerning Church Government and Ordination, this truth is brought to view in a series of appropriate quotations from the scrip tures. In these passages the universal supremacy of the Lord Jesus Christ stands connected with his headship over the church. He is given to be head over all things to the church. While the attention of the reformers was very particularly directed to the headship of the Redeemer over the church, it was the spirit and aim of their whole pro cedure to bring the nation, as well as the church, into sub jection to Christ. In their solemn covenant, they confessed ” these kingdoms are guilty of many sins against God and Christ.” They were reverentially awed with the necessary moral supremacy of Jehovah; they regarded this as now taking effect, by appointment of him who has “given all judgment to the Son,” in the supremacy of Jesus Christ; and they viewed this universal supremacy as essentially connected with his headship over the church. The head ship, the exclusive headship of Jesus over his church, was the grand and leading principle of the Second Re formation, into which all its other principles may be resolved. 2. Another leading principle of this Reformation, is the spiritual independence of the church of Christ. ” The Lord Jesus, as king and head of the church, hath therein appointed a government in the hand of church officers, dis tinct from the civil magistrate. To these officers the keys of the kingdom of heaven are committed.” The church receives the doctrines of her faith, the institutions of her worship, her polity, and her discipline from Jesus Christ, independently of all foreign authority. The fathers of the Second Reformation boldly claimed and exercised this independence in the meeting of the famous assembly in Glas gow, and they established it in their enactments concern ing calls, ordinations, and censures. The reformers did not plead for the irresponsibility of the members of the church to lawful civil authority, nor give to the church a power over the nation. The documents to which we have appealed for her principles, settle this point, and pro fess and enjoin respect and subjection to lawful civil au thority. But the reformers of that time contended that the church had from Christ a right within herself to ap point, continue, and adjourn her meetings, to discuss and determine all matters within her province, and to give them full ecclesiastical effect, independently of magistratical authority. The Second Reformation was thoroughly anti-erastian. 3. The supreme and ultimate authority of the word of God in the church, is another of the principles of the Se cond Reformation. This grand protestant principle was universally acted upon, in opposition unto the claims of the See of Rome, and of kings usurping the authority claimed by that See. The church has authority from Christ for edification, but it is not autocratic and supreme. Obe dience is due to the church only in the Lord, and is ob ligatory upon the conscience only in the case of power lawfully possessed, and exercised in agreeableness to the word of God. The church of Rome claims to be the infallible interpreter of the Scripture, and demands implicit obedi ence to her authority. The church of Christ addresses herself to the understanding and conscience according to the word of God. The reason of obedience to her, is the authority of God in the word. Princes, acting in the spirit of Rome, require implicit or passive obedience to their authority; but the reformation gave to men the right of using their judgment, and proving all things. ” The supreme judge by which all controversies of religion are to be determined, and all decrees of councils, opinions of ancient writers, doctrines of men and private spirits, are to be ex amined, and in whose sentence we are to rest, can be no other but the Holy Spirit speaking in the scripture.” There is nothing more prominent in the whole procedure of the men of the Second Reformation, than the application of this principle. In their renovation of the national covenant, they condemn the innovations and evils of Prelacy, as having no warrant in the word of God; and they oppose the claim asserted by Popery and Prelacy to ordain rites, declaring that ” God alone is Lord of the conscience, and hath left it free from the doctrines and commandments of men, which are in any thing contrary to his word, or be side it in matters of faith and worship. So that to believe such doctrines, or to obey such commandments out of con science, is to betray true liberty of conscience; and the requiring an implicit faith and an absolute and blind obe dience, is to destroy liberty of conscience and reason also.” The men of the Second Reformation brought every matter of faith, worship, discipline, and government, to the test of the divine word, applying this measuring reed to the tem ple, the altar, and them that worship therein. They paid a supreme regard to ” the law and testimony,” in their faith, and worship, and church polity. Not the traditions of men, not the authority of Pope, Prelate, or Prince, not supposed agreeableness to reason and the fitness of things, not venerable antiquity, not fascinating novelty, not present expediency, not even the authority of the church, but the revealed will of Christ, is the immediate, author itative, and ultimate reason of the church’s faith and ordi nances. This principle is vital in faith, and essential in the church of Christ; and in proportion as Christians and churches act upon it, do they glorify the Redeemer. The reformers, in contending for Presbyterianism, appealed for its great and leading principles to the Word of God, and the practice of the apostolic and primitive church; thus investing it with the authority of a Divine Institute, and respecting and reverencing it as such. The appeal to the word of God is a more facile and satisfactory method of settling ecclesiastical questions, than references to the inextricable mazes of ambiguous and disputable acts of re mote antiquity. 4. Another principle of the Second Reformation is, the subjection of nations to God and to Christ. The reform ers regarded magistracy as the moral ordinance of God. ” God, the supreme Lord and King of all the world, hath ordained civil magistrates to be under him over the peo ple, for his own glory and the public good.” They re garded civil government, not as the suggestion of expediency, or an invention of men, lite the arts of civilized life, but as the moral ordinance of God, to be erected and administered upon the principles of the moral law; and, in ‘, agreeableness to this, the reformers regarded the moral and religious character of rulers, and deferred to the Divine Word, in their legislative and judicial procedure. But, besides this, they acted upon the principle of the subjec tion of civil rulers to Jesus Christ; not that they viewed in civil government as originating in the dispensation of grace, but as placed, with other moral ordinances, under the feet of Christ. Their principles in this matter will appear from the federal deeds to which I have referred. In the renovation of the national covenant, they pledge their allegiance to the king, for defending the true religion, as it was then reformed, and is expressed in the Confession of Faith; and in the Solemn League and Covenant, they ten der their allegiance to the king in the preservation and defense of the true religion and liberties of the kingdom. They proceeded upon the principle of magistratical subjection to Jesus Christ. They pled for the independence of the church against the Erastian doctrine, and they held the independence of the state against the claims of Popery. The men of these times were distinguished by sagacity; they were fruitful in resources, and beset with great dif ficulties, which often quicken invention; but they appear never to have thought of an entire disjunction of church and state. Had they thought of this, and made the at tempt, they would have found it difficult, if not impracti cable altogether; and if they had succeeded, tley would soon have found that the measure gave security of in dependence to neither the church nor the state. But the men of these days sought an alliance between the two, based upon broad moral religious grounds, acknowledged by both, and defining the power and objects of both in such a way that each had its own independent jurisdiction, while both co-operated in their respective provinces, in furthering the great public object of the reformation. Ac cordingly, the National Covenant, the Solemn League and Covenant, and the Westminster Confession, to which we have referred for the principles of the Second Reforma tion, were ratified by the state, after being adopted by the church. Such is the fact of the case, establishing that it was a fixed principle of that period, that civil society should acknowledge Divine Revelation, bow at the footstool of Jesus’ throne, and erect its constitution, enact its laws, and conduct its administration, in subserviency to the interests of the kingdom of Christ. 5. The duty of covenanting with God, and the obliga tion of religious covenants, pertained to the principles of the Second Reformation. This duty was resorted to at that time, and found to be eminently useful. In the early dawn of reformation from Popery, recourse was had to this exercise; and it was blessed as a means of impressing obligation upon the conscience, distinguishing the friends of truth, and uniting them to one another, emboldening them in the profession of religion, and throwing a pro tection around their common privileges. They learned this, not only from the example of the churches abroad that were in a state of separation from Rome, but from approved examples in the Scriptures. The Second Re formation commenced with a renovation of the National Covenant of Scotland in its application to Prelacy, and it was further matured in its grand design by the Solemn League. This was resorted to as a divinely warranted means of uniting the friends of the Reformation in the bonds of truth, and of uniting the church and the kingdom in the conjunct prosecution of the Reformation. 6. The reformers of those days acted upon the princi ple of holding fast past attainments, advancing in reform ation, and extending its blessings to others. They ap preciated the privileges which were transmitted to them from their fathers, and, when threatened with deprivation of them, they stood forth in their defense, and held fast what they had. Nor did they stand still, as though they were already perfect. They meditated and planned the union of the kingdoms in one happy uniformity and peace; and casting their eye abroad, they contemplated the en largement of the kingdom of the Saviour. They were animated with a spirit of enlarged love to God, and be nevolence to men upon religious principles. Such are some of the leading principles which directed the views, and animated the actings, of the fathers of the Second Reformation. Providence raised and brought into the field at that time, a race of men distinguished alike by high intellectual, moral, and religious qualifica tions, who stood forth in defense of religion and liberty in perilous days, the friends of the church of God, and of their country’s best interests. The prayerful labors of the ministry in their studies, and their faithfulness and zeal in the pulpit, and their sagacity, argument, and elo quence in the assembly, and their writings, were all devoted to one great object. The productions of their pens are monuments to this day of their unexampled industry, and extensive biblical learning, as well as sound and elevated principles. Their holy lives gave witness to their piety. They were honored of Heaven in the success that attended their labors. Religion was in these days felt in the hearts of multitudes, it was cultivated diligently in the closet and the family, and it shone in the life. These years, though few, were years of the right hand of the Most High. An impulse was communicated to the gen eration, which was not dissipated in the confusions and agitations which soon, alas! soon, ensued; nor was it crush ed in the barbarous persecutions which followed; but in spite of the one and the other, it wrought for an ungrate ful posterity the liberties they continue to enjoy. The infidel and skeptic, the profane and the profligate, the admirers of feudalism and tyranny, may look askance at the honorable mention of this period, but the impartial and faithful pen must record it as the brightest chapter in Scotland’s story; presenting to the philosophic student wonderful developments of mind; exhibiting to the poli tician instructive and impressive lessons; holding forth to the patriot the most commanding examples of wisdom, and fortitude, and patience, and perseverance, in rescuing; a country from oppression, and restoring and establishing its liberties. But above all these, to the Christian, to the lover of the Saviour and his church, this period is pregnant with instruction and with promise, the brightest day of Scotland’s church, a day in which millennial glory seems to dawn. A church, holding directly of her Head in. heaven, with doctrines, and institutions, and polity, based immediately on the Holy Scriptures; with standards so excellent; with ministers so pious and faith ful; with a people so enlightened and devoted; allied to a Christian reformed state, without any encroachment upon its independence, or compromise of her own; with schools for scriptural education, and seats of learning consecrated by sound religion; and banded together in holy covenant; and standing fast in the liberty wherewith Christ has made her free; and resolutely prosecuting her proper pur­poses, presents an object commanding admiration. This is the Church of Scotland with which we aspire to the honor of being identified, to which we look back with gratitude and with regrets, remembering from whence we are fallen. Alas, that its prosperous day should be so short, and that while we cast an eye of wonder and de light upon it, clouds and darkness should so soon over­shadow it! IV. 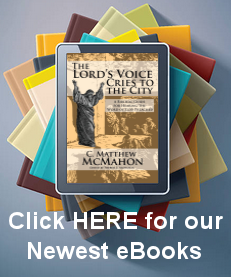 The persecution raged for a long period of years, and made havoc of the church of God. He who rules in the raging sea said, ” Here shall thy proud waves be stayed.” It rolled itself to rest in the memorable Revolution. While much of the divine goodness, in behalf of the church and the nation, is to be seen in this event, it is to be deplored that the desolations of Zion were not rebuilt on their an cient foundations. In the views of not a few of the men of that day, the principles of the Second Reformation were not faithfully dealt by, at this interesting juncture; although a long period of alarm and persecution disposed the men of that time to embrace deliverance on easier terms, than they would have submitted to in other circumstances. A small minority could not acquiesce in the Revolution, and remain ed in a state of dissent; refusing to incorporate with the church or with the state, declining the fellowship of the one, and protesting against the other. For a short time the Rev. Messrs. Lining, and Boyd, and Shields, were connected with these persons. They presented a paper to the Gen eral Assembly, containing the terms on which they and their people would join in communion with them, craving that they might acknowledge breach of covenant, and purge out the ignorant, and heterodox, and scandalous min isters who had participated in the blood of the saints. But every proposal of this nature was rejected. After unsuc cessful efforts to obtain redress, they at last submitted; and the people who had adhered to them were left desti tute of a public ministry which they could receive. They formed themselves into Fellowship Societies, gave public ity to their declinature, instituted a general correspond ence, and continued in this way to edify one another, and to maintain their attachment to the covenanted reforma tion. The Rev. Mr. McMillan left the established church, and acceded to them. So early as 1703, Mr. McMillan, in conjunction with two other ministers in the Presbytery of Kirkcudbright, gave in a paper, craving that effectual measures should be taken for reviving the remembrance of the National Covenant and Solemn League and Covenant, and explicitly asserting the Divine right of Presbytery, openly avowing Christ’s sole headship over the church, together with her intrinsic liberties, and, for stating im partially, and mourning over, the sins of the land. The two brethren originally associated with him were prevailed upon to withdraw their complaints, and submitted to ad monition. This Mr. McMillan could not do, and he could not be endured. He was libeled, and refusing to comply with the proposal to drop the prosecution of his griev ances, he entered his protest, declined the authority of the court, and appealed to the first, free, and faithful As sembly of the Church of Scotland. After the breaking up of the presbytery, and after a number of the members had gone home, the rest repaired to a neighboring church, con stituted anew, and rashly, and unprecedentedly deposed Mr. McMillan. His fault was, contending for the whole of the Covenanted Reformation, although put to the account of ir regularities, and disorderly courses. I tremble when I think of the readiness with which the church has proceed ed with such censures. Might not ministers, entertaining scruples, that could not be said to be altogether ground less, have been allowed to withdraw from communion? But such was not the spirit of the times. Erskine and others, and Gillespie at a future day, received the same treatment; and in times more modern, and by a church whose fathers had received the same treatment, the his torian of Knox and Melville, and a few associated with him, were deposed and excommunicated. Mr. McMillan was prevailed upon to desist from his ministry for a short time, but he never acknowledged the deposition; and when he found that no redress could be had, he resumed his labors with the cordial welcome of his people. He joined the Societies in 1706. Along with Mr. John McNeill, preacher, he gave a joint Protestation, Declinature, and Appeal in 1708. He continued to labor till 1753, de claring on his death-bed his adherence to the Work of Re formation carried on between 1638 and 1649; testifying, as an authentic narrative declares, ” against all defections from, or opposition to that covenanted cause, or burying it in the rubbish of oblivion, defection, or apostasy, and encroachments on the crown and royal prerogatives of the glorious Head of the church.” The Reformed Presbytery was constituted in 1743, and the Testimony for the whole of our Covenanted Reformation, as attained to, and established in Britain and Ireland, particularly betwixt the years 1638 and 1649 inclusive, was published in 1761. V. Such is the rise of the Reformed Presbyterian Church. The persons first constituting it regarded themselves as a continuation of the Covenanted Church of Scotland; not dis­senters from it, but dissenters from what they considered to be defections from it at the Revolution, for they adher ed strictly to the principles of the Second Reformation. It may be proper now to state the reasons upon which they acted, and we may keep our eye upon the principles al ready specified. 1. In regard to the Headship of Christ, they consider ed this doctrine unfaithfully dealt by. The resumption of the supremacy over the church was a thing to be expected from the education and character of William, and it was his manifest drift and policy in all his proceedings. The overlooking, at the Revolution, of all that had been done during the Second Reformation in asserting the sole Su premacy of Christ, was to our fathers ominous. The act 1592, upon which the church was erected at this time, contained no acknowledgement of the Headship of Christ. It was passed only a very few years after one of the Black Acts, engrossing the supremacy, and contains no repeal of this, but invests the monarch with a portion of this supre macy over assemblies. The revival of this act at the Re volution, in the view of our fathers, placed the vital ques tion of the sole headship of Christ on a most precarious foot ing. The fact of the settling of the ecclesiastical suprem acy in the crown, for England and Ireland, rendered, in their view, the abolition of it for Scotland a merely nominal political concession of little value; and the more so when they saw this prerogative actually exercised in proroguing and dissolving the assemblies, and sometimes in a very ar bitrary manner. And, withal, not only the omission on the part of the church at the Revolution to condemn the Royal Supremacy, and to assert the sole headship of Christ, but the abrupt dissolution of the Assembly, when the draft of an act for the purpose of asserting the Supremacy of Christ was to be submitted, gave occasion for more than suspi cion. These things were before their eyes in all the fresh ness of recent occurrence, and must have made a more vivid impression than when seen back through a vista of a hundred and sixty years. 2. On the subject of the intrinsic authority and independence of the church, the minority referred to demurred, when they reflected—on the manner in which the As sembly had been convened by royal authority, not by her own spontaneous call and appointment—on the way in which the Confession was enacted, by act of Parliament, without consulting the church—on the omission of the Explanatory Act with which the Assembly of the Second Reformation had received certain portions of the Confession, securing the intrinsic right of the church, and her particu lar polity—on the very terms of act 1592—on the dicta torial manner in which the church had been addressed by the king on the subject of the admission of ministers, and administration of her censures—on the omission of any as sertion on the part of the church, of her intrinsic power, and of any condemnation of the supremacy-—on the persons con stituting, in great proportion, the members of the Assembly—and on the doubtful abeyance in which the subject of patronage was left. These circumstances were calcu­lated to excite apprehension, that the headship which was nominally abolished, still exercised an authority, and that the church was not standing in the liberty wherein Christ had made her free. 3. And with regard to the authority of the word of God, they viewed the abolition of Prelacy and establishment of Presbytery in Scotland, as grounded altogether on political expediency to meet the inclination of the people; the phrase occasionally employed, “agreeable to the word of God,” being used in a loose sense, as applicable to one form of polity as another. The authority of the law of the great Legislator in Zion was not acknowledged; nor could it with any consistency, when forms not only various, but opposite to one another, received the same sanction of royal authority. And even when the Confession of Faith was read and ap proved, it was without the Scripture proofs, the proper reason to give it any authority at all; a circumstance indicating the little respect in which the word of God was held in this matter. To persons holding that the word of God is the supreme rule of political and ecclesiastical actings, and who had in their eye a period when regard was paid to the word of God in both, these things must have proved stumbling. 4. Further, the persons to whom I refer considered the nation, as such, violating its duty to God and his Anointed. It had acknowledged God and Christ, it had embraced the interest of Christ, in solemn engagements; the people had pledged themselves to obey and support authority in the defense of the true religion. Its scriptural constitution and laws were violated; and in this there is to be seen the sin of the people, as well as of the rulers. Knowing all this, and in the full remembrance of the deeds of cruelty and blood which had been lately enacted, was it to be won dered, that they felt chafed in their spirits, and were led to question the nature and extent of their obligation to powers, that, they considered, had so violated the law of God, and of the land? 5. And in regard to the public covenants. Our fathers knew well the place these had held in the preceding Reform ation. Finding acts rescinding their obligation unrepealed in the Statute Book; remembering the contempt and pro fanity with which they had been treated; seeing institu tions erected in direct subversion of their letter and spirit; finding a reckless heedlessness on this subject on the part of the government, and a refusal on the part of the church to acknowledge their obligations, or to renew them, they could not consent to their neglect, nor see solemn engage­ments to God and men, and which had embraced the most valuable interests, thrown to the winds. 6. The minority to whom I refer finding also the grand design of uniting the three kingdoms in one profession of religion entirely frustrated, finding no recognition, even on the part of the Church, of the Second Reformation at all, nor any condemnation of its guilty overthrow; no ves tige of it remaining, excepting the Westminster stand ards, which were only partially recognized, the Cate chisms, Propositions for Church Government, and Direc tory for Worship being altogether omitted; finding no recognition of the Scripture authority of Presbyterian Government; finding Prelacy, against which the Sec ond Reformation had been particularly directed, set up in two parts of the empire, and connection with it made a con dition of holding the throne; finding the liberty of the Church placed in the greatest jeopardy from royal prero gative and public enactments; and finding the covenants vio lated and set aside, and the blood of martyrs seemingly unrepented of, they felt it to be their duty to dissent from the Church, and to lift up their solemn protestation against the State. Nor did the subsequent history of the Church produce any thing to remove these scruples, and conciliate their affections. The early restoration of patronage, the violent intrusion of ministers, the spread of error, and other things justified the position they had assumed. Such were the views of those persons who at the Revo lution dissented from the communion of the Scottish Church, and protested against the State. It remains that it be tried whether these things are really so, whether they are facts, and this by statutory and documentary proof. Having ascertained the amount of fact, it will re main to try the principles elicited and acted upon, by the infallible standard of the word of God. This task is com­mitted to other hands, in which, I doubt not, it will be faithfully executed. And after this shall be done, another enquiry will follow, Does the amount of fact and of truth in the circum stances of the case justify the part that was acted? How ever this matter shall be determined, it will be admitted as a sound principle, applicable in other cases than that of separation from Rome, that “the guilt of schismatical sep aration belongs, not to those who are compelled by a sense of duty to decline or secede from a communion, but to that communion itself which attaches principles, and superadds requisitions to the system of Christianity, directly subver sive of the purity of its doctrines, and the simplicity of its institutions.” It has been justly said, and will be admit ted as a general principle, ” When the prevailing part of a Church make any addition to, or alteration of the Scripture system of faith, worship, discipline, or government, an essential condition of fellowship with them, in this case the prevailing party are the real separatists, and they who are obliged to withdraw from their communion, rather than sin, are the true adherents to the Church, cleaving to her constitutional laws.’1 Schism, an evil of no small magnitude, a reproach often cast upon the few, is not to be tried by arithmetic. It is not a question of numbers, or it were easily settled; but it is a question of truth, and of principle. Let the small minority who clave to the principles of Scotland’s covenanted church at the Revolution, only have the benefit of these concessions, and we submit them to be tried accordingly. This is a question on which those requesting and de livering the proposed Course have decided for themselves. They have not originated dissent, though they have con sented or acceded to it; some of them instructed in it from their earliest years, and others acceding to it in more ma ture life. They are all, however, committed on this ques tion; and, adhering substantially to the dissent of their fa thers, they may be permitted to speak for themselves. VI. Let us notice a few of the important connections in which the great principles to be advocated stand. —Are they not connected intimately with the honor of the Redeemer? He is head over all things. He is King in Zion, and Prince of the Kings of the earth. Let us connect his sufferings with the glory that has followed. He is worthy to receive glory and honor. The hands that were transfixed upon the cross have now received the seven-sealed book, and the scepter of universal empire. The feet that were nailed to the tree have all things put under them. The head once pierced with the thorny gar land is now majestic with the crown of gold. Do we plead for the liberty of the Church? It is the purchase of the precious blood of Christ, and the chartered right of his kingdom, holding immediately of his crown. Do we plead for the authority of the Scriptures? They are the code of our Lawgiver and Saviour. Do we contend for the subjection of the nations? They are promised as his inheri tance, and they shall yet call him blessed. Do we speak of the vows of the church and the nations? They are pledged fealty to our heavenly King. Let him wear the honors he has merited. The headship of Christ is the grand sun of the Second Reformation, irradiating all its parts, and binding them in sacred harmony. —But those principles are connected essentially with the interests of the church. As the Institute of Christ for the Divine glory and the salvation of men, the church is the highest of all interests on the earth; and it is of impor tance for the objects for which she is erected that she enjoy the unfettered use of all her institutions, and the ex ercise of all her liberties. Nothing can be so fitted, or expected to be blessed for her true prosperity, as the in stitutions her Head has appointed. —These principles bear upon the best interests of so ciety, and the cause of liberty. They steer a happy me dium course between anarchy and despotism, and establish human rights without disturbing the order of society. The noble struggles which have been made for religious liber ty, throw light upon the nature of society, and give the surest guarantee for its privileges and prosperity, supplying lessons to the politician, the ruler, and the subject. —They are intimately connected with the great cause of the Protestant Reformation. This forms the most interest ing epoch in the history of Europe, when the human mind awoke from the slumber of ages, when the gospel was preach ed, the Bible was translated and circulated, when the fabric of Popish superstition and tyranny was shaken, and a mighty change effected in the manners, the literature, the politics, and the religion of every country to which the reformation extended. In the reformation, called the Second, the most select and valuable of the principles of the great Reform ation referred to, were elicited and applied; and we are thus taught to appreciate their value, and to preserve them in firm retention. And these principles will supply a test by which to try our claims to a sound national Protestant ism. It becomes a matter of grave inquiry whether a su premacy, which is claimed by him that sitteth in the tem ple of God, and a hierarchy which the reformers denounced as popish, do not link us to a system that is dodmed to be destroyed. The Reformation supplies valuable lessons by which we may learn our sin and our duty, ascertain the causes of divine displeasure with the church and the nation, and know what Israel ought to do in the day of his trouble. ” Remember whence thou art fallen, and hold fast, and re pent.’1 This is the line of duty, and of true policy. —The Second Reformation supplies lessons for the times, which might serve to adjust conflicting interests, and conflicting parties. It furnishes an example of a church and a nation in alliance with one another upon the basis of religious truth; and there is no other upon which such an alliance can be lawfully formed. The union of the church with a heathen, an immoral, or an antichristian state, is a thing out of the question. But when a country has been pervaded with religious truth, and is particularly-called to put forth its energies in advancing some great reformation for the public good, a well-constructed doc ument, declaring and defining the province and privileges of the respective departments of church and state, and mutu ally agreed upon, will secure the independence of both, and, by uniting them in combined operation, will greatly promote the interests of both. The reformers knew well the evils of Erastianism, and of Popery; the one making the church a department of the state, and the other making the state the vassal of the church; and they declared against both. They provided for the independence and co-operation of church and state, protecting the church in her spiritual privileges against the encroachments of the state, the evil from which the reformers effected a deliverance; and protecting the civil liberties of the country from the usurpations of the church. They were thus secured from mutual collision, an evil that could not have been so effectually prevented, while man is man, by church and nation affecting to be in a state of absolute separation. This was no theory; it was brought to the test of experiment, and appeared to be working well, when, in the mysteries of providence, it was stopped short by the recurring ascendancy of a despotic supremacy, from which the reformers had delivered them selves. By a departure from the great principles upon which the reformation was established, the bulwarks which it had erected around our national Protestantism and liberty were overthrown. By these, and many other important connections, in which the principles of the reformation stand, it is com mended to the faithful adherence of its friends. Here it is to he remarked, however, that it is not the acknowledg ment of principles merely in the abstract, for which it is the duty of a church to contend, hut for the consistent and faithful application of them. The principles of the head ship of Christ, the independence of the church, and of the supreme authority of the word of God, will be readily acknowledged in the abstract, by many who practically violate them. His Holiness of Rome, and the Monarchs of England, could acknowledge the supremacy of Christ, yet shed the blood of those who would deny theirs. The church of Rome, and the Episcopal Church claim inde pendence, and profess respect for the scriptures; and yet, in violation of the one and the other, enthrall the church, and impose upon her the traditions and commandments of men. The Prince of Orange appeared so far to defer to the supremacy of Christ, and the authority of the word of God, when he conceded to Scotland a disclaimer of the su­premacy, and the abolition of Prelacy, so far as Scotland is concerned, while he not only retained these in England and Ireland, but pursued a policy, and exercised a sum mary power in ecclesiastical affairs in Scotland, altogeth er incompatible with these political concessions. The au thority of the word of God may be admitted by a church, and yet that authority be virtually set aside, when it is not made the ground of her polity, or when that polity is in consistent with it. Here, as in the matter of Christian character, it is not by the profession, but by the profes­sion and the practice, that the character is really determined. We know again, that many in the present day repudiate, name and thing, some of the principles upon which the Se cond Reformation proceeded; such, for example, as the subjection of the nations to the Redeemer, and the duty and obligation of covenants. We are greatly sorry for this, especially on the part of those whose fathers and ec clesiastical symbols once acknowledged these principles. With them the argument must be taken up on the ground of scriptural evidence, and to this we shall appeal. VII. It is time that I close this lecture, by stating the reasons and object for which the course has been under taken. The requisition of friends has been respectfully pre sented in terms which it would not have been either dutiful or courteous to refuse. Ministers’ lips should keep know ledge, and the people seek the law at their mouth.—Inquiries are often made by individuals who see us occupy ing ground by ourselves, and standing aloof from the two great parties that have been contending so keenly on the arena of public controversy. We have not been rash to obtrude ourselves, and our views, upon public notice. We have lately published an exhibition of our principles, to which we respectfully invite attention on the part of in quirers. We desire to give to every one that asketh a reason of the hope that is in us, with meekness and fear. . We obtrude no novelties. Neither antiquity nor novelty is the criterion of truth; these terms relating merely to the ages and opinions of men. To the Scriptures, and to them alone, we appeal as final authority. Yet we would be followers of the church of God in what is good. ” Stand ye in the ways, and see, and ask for the old paths, where is the good way, and walk therein, and ye shall find rest for your souls.”—Misrepresentations we know are abroad. It is important that we be known as we really are. The reproaches of singularity, contractedness, il-liberality, persecution, disloyalty, utopianism, and I know not how many more, we shall be contented to bear for the truth’s sake. We are solicitous that our views, and the grounds of them, should be distinctly known. We speak as to wise men; judge ye what we say.—Nor are we ashamed in undertaking this course, to acknowledge the influence which the example of others may have had upon us. Courses on topics of great interest have been under taken by others, and in many of these we have much with which we sympathize. The zeal, the ability, the fidel-1ty, and the piety evinced in undertakings of this kind, we appreciate highly, and we bid every laudable effort of this nature, ” God speed.” Why should we not be followers of the good, and of that which is good?—Our own people and our youth need instruction, excitement, and admoni tion; and for our immediate friends’ and brethren’s sake, we feel a special obligation to make known the way of truth more perfectly—The aspects of the day in which we live urge this duty. A long expected crisis seems now “ft yProac’1 wi*a accelerated speed. ” Many shall be pruned and made white, and tried: but the wicked shall do wickedly. And none of the wicked shall understand: but he wise shall understand. Zechariah 13:9, “I will bring the one-third through the fire, Will refine them as silver is refined, And test them as gold is tested. They will call on My name, And I will answer them. I will say, ‘This is My people’; And each one will say, ‘The LORD is my God.” O how much is it to be desired that misunderstandings and alienations were removed, and that the friends of Christ, that are scattered in his judgment, were united in his mercy, to their mutual establishment, and to the dismay of his enemies! subjects, and gather multitudes to him from the ends of the earth; it shall distinguish his friends, and unite them; it shall direct their movements; it shall animate their hearts, and intimidate their foes; it shall embolden his faithful fol lowers in the conflict, secure the victory, and wave glo riously in the triumph. Here, then, are the great objects before us,—to make Jesus King—to bring the King back to his OWN HOUSE— to assert the honors of the Redeemer’s crown, proclaim ing him King in Zion, and Lord of all—to vindicate the freedom of his church, and the liberties of his people— to assert the perfection and authority of his word—to claim for him the homage of the nations—to call upon the church and the nations to acknowledge the obligations of their vows, repent of the violation of them, and to renew their once plighted fealty to the Redeemer’s crown—to unite the friends of the Redeemer in truth, and to prose cute the scriptural reformation of all the parts of the unit ed kingdom—to enlarge the Redeemer’s kingdom—to prepare ourselves and others for the hour of temptation that may come to try them that dwell upon the earth—and to direct our hopes and endeavors forward to the days of millennial glory. The honor of the Redeemer’s crown, the independence of his church, the liberty of his people, the coming of his kingdom, form the lofty aims contem plated in maintaining and promoting the principles of the Second Reformation, howsoever feeble and unworthy be the humble instruments.